Sorry, Raleigh and Atlanta - the Central Intercollegiate Athletic Association is staying in Charlotte. On March 3, CIAA commissioner Jacqie Carpenter announced that the Queen City will continue to host the men's and women's annual basketball tournament - which takes over the city for almost a week, bringing with it thousands of visitors and hundreds of parties and events - for at least another six years. In addition, the conference will move its headquarters, in Hampton, Va., here. Cue the respective cheers and groans. This was the first time in six years that I did not attend a tournament week party. (I've been on both sides of the bar since the CIAA first came to Charlotte in 2006, so service industry folks, I know the exhaustion of working a crowded party.) But I did experience some of the excitement in Uptown Saturday night while walking around, losing myself in the crowd of cheerful out-of-towners who were in our city to have a good time. A good time. That's all the alumni and friends of these 12 historically black colleges and universities are looking for when they visit Charlotte. (Not unlike the visitors who come to the area for the big NASCAR race or the ACC championship game.) That Charlotte has the capacity to host such an event and get something in return makes me wonder why anyone would not embrace the news that the CIAA will return through 2020. 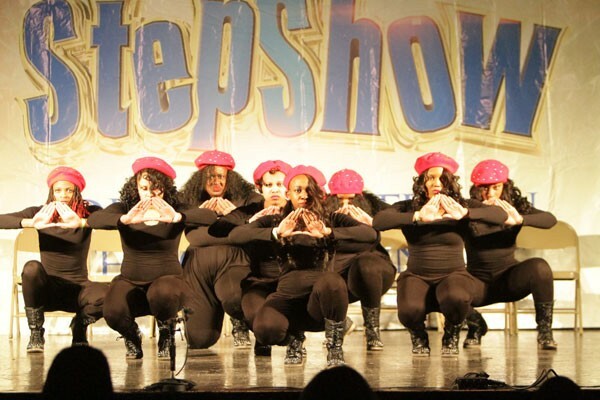 The CIAA 2014 Step Show Throwdown; Greeks vs. Greeks took place at Grady Cole Center, Feb. 28. For insight, I perused my Facebook newsfeed - a mostly terrible idea, considering everyone's got an opinion but few take the time to really research what they're talking about. One person, though, did suggest that moving the tournament back to Raleigh (which hosted CIAA for six years) would return the focus of the event back to basketball. At least her intentions seemingly came from a good place. Of course, for some (more than some), the underlying discomfort boils down to race relations. A friend of a Facebook friend commented on a thread that CIAA weekend lacks inclusivity because the conference is made up of HBCUs. But let's be real: A large majority of Charlotte's young, non-black partiers stayed as far away from downtown as possible last week, and not because it "lacks inclusivity." No one told them to stay away. No one told them they wouldn't be welcomed. It's hard for me to understand why the same people who usually embrace the Uptown nightlife scene, with its parking fees, crowded bars and high-priced drinks, avoid it so emphatically during CIAA. Is it fear of, even for a short period of time, being in the minority? 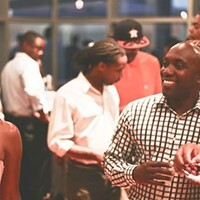 Of getting a small taste of what it's like to be black in Uptown on any other Friday night? CIAA weekend is the only time of year that I know my well-dressed black boyfriend and his well-dressed black friends won't be turned away at the door of an Uptown nightspot. As part of the agreement to keep the CIAA in Charlotte, the city, Mecklenburg County and Charlotte Regional Visitors Authority will provide $1.4 million in funding per year to be distributed among the conference's 12 schools. Seems like a small price to pay, when in 2013, according to the Visitors Authority, the tournament brought in about $30 million in direct spending and $47 million in economic impact. If the city is going to continue to host such an impactful event, it needs to step up its game - manage traffic better (the congestion on 5th Street Saturday night looked like the exodus of scared citizens trying to escape a virus outbreak in any zombie movie); help protect visitors from price-gouging at hotels and parking lots ($50 to park in a lot? Really? ); and request Uptown regulars take part in the festivities instead of ignoring their swift departure. The bottom line is, the CIAA tournament is the largest annual tourism event in Charlotte, and it's here to stay. We might have problems with some colors, but green we should not.